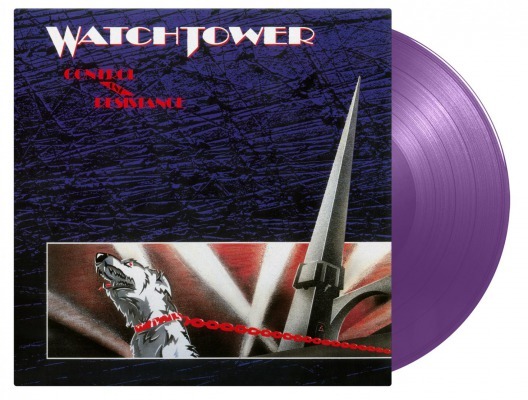 WATCHTOWER - CONTROL AND RESISTANCE RURPLE VINYL (LP) | Online Shop | Wizard LTD. Album: "CONTROL AND RESISTANCE RURPLE VINYL (LP)"
The progressive metal band Watchtower is known for their complex rhythms and incoherent structures. It’s no difference on their second album Control and Resistance. Ron Jarzombek’s guitar performance is the key, but the whole band is performing like there is no way back in producing a technical superb album. And Control and Resistance is indeed nothing less. “Instruments of Random Murder” is the first track in which they’re showing off their progressive skills. You’ll hear no repeating sections and the adventurous guitars sounds and shuffling drums are setting the pace for some incredible vocal parts. The title cut got a memorable riff and mechanical trashwork. It’s a monument in the progressive metal and one that had a big influence on the later popularity of the genre. They only recorded two albums, but Watchtower played an important role in the upcoming power of the progressive metal at the end of the 80s. They made a comeback during the zero’s and are planning on releasing a new album 30 years after the last one. Control and Resistance is available as a limited edition of 500 individually numbered copies on purple vinyl.